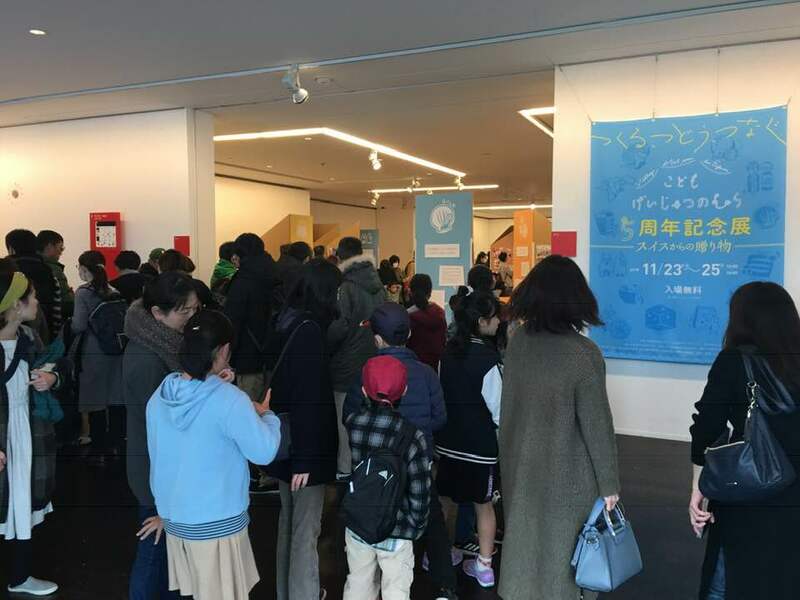 This workshop, with the focus on “Ogatsu Stone,” seeks to help participants rediscover the charm of the treasures lying dormant in the regions right around them and pass it onto children, who carry the future on their backs, using classroom lectures, field trips and experiences. 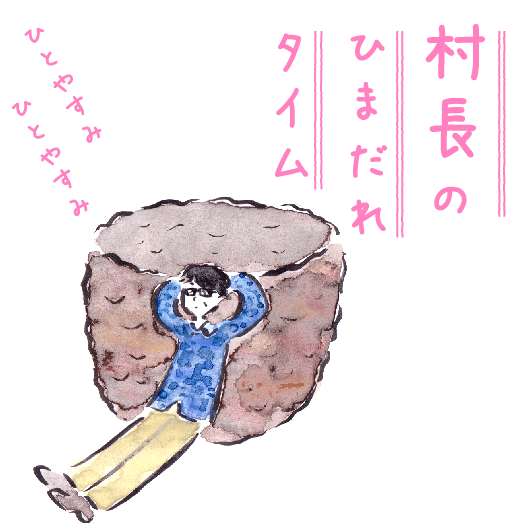 Ogatsu produces Genshoseki, a special type of slate, and is renowned for the ink stones that are made from this Genshoseki since the Edo period. It has also been used as roofing material since the Meiji period, one well-known example of which is Tokyo Station, where the roof is covered with Genshoseki slates. The Namiita area sustained heavy damage when the tsunami wave that resulted from the earthquake of March 2011 hit. After the disaster, the number of households shrank to four. 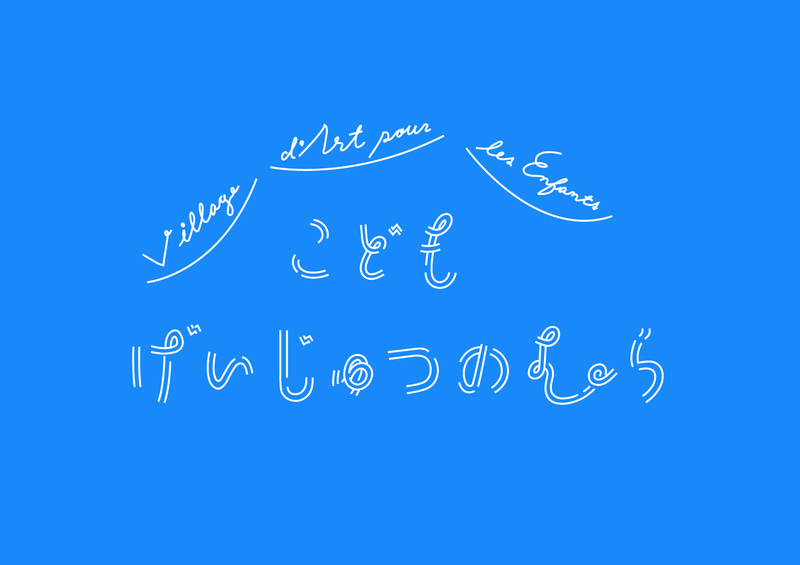 However, the research about and rediscoveries of the charm and possibilities of villages comprising mostly senior citizens, as well as connecting such elements to and passing them on to the next generation, resulted in the construction of the “Namiita Labo,” a regional exchange center. When the group reached its location for the day, it first listened to a talk given by Mr. Yotsukura of Yotsukura Seikawara Co.,Ltd, the only natural slate producer in Japan and a leading authority. The children listened intently to Mr. Yotsukura. 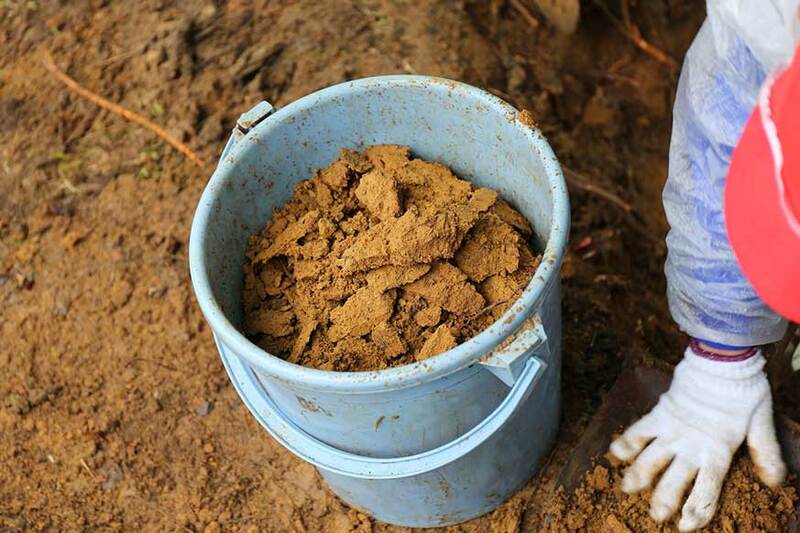 They learned that, roughly 250 million years ago, clay and mud accumulated on the bottom of the ocean and, under great pressure, formed what is today known as Ogatsu Stone. They learned that this stone comes off in a predetermined direction and in layers. They also learned that sometimes fossils are found, that a rock of 1.6m² in size can make only two or three ink stones and other facts about the historical material. Afterwards, an artisan, Mr. Suzuki, gave the participants an actual demonstration of how an Ogatsu ink stone is produced. 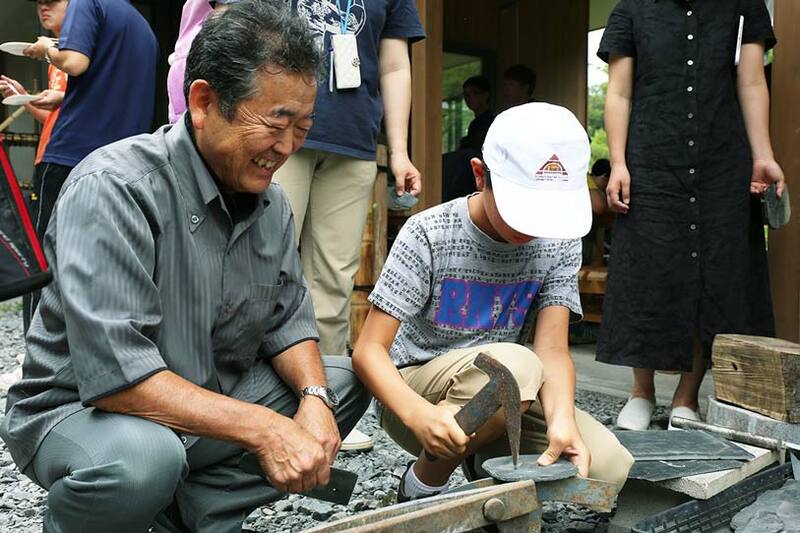 Amongst the participants were one child and parent who practice calligraphy and showed a keen interest in the prestigious Ogatsu Stone and how it is worked into its ink stone shape. After the ink stones, the participants continued onto experience slate making, another industry branch of Ogatsu Stone. Making use of the stone’s characteristics of coming off in a predetermined direction and in layers, the participants used a chisel and a hammer to slice off 5 mm thin plates and proceeded to cut the plate into a scale shape with a guillotine cutter. The last step was putting in holes for nails. In the beginning, the participants struggled a little bit with a new experience, but once they experienced the process of clean cutting along the grainy rift of the stone, they quickly found it addictive. Participants continued challenging themselves with the production of slate even during the break time after lunch. struggled a little bit with a new experience, but once they experienced the process of clean cutting along the grainy rift of the stone, they quickly found it addictive. 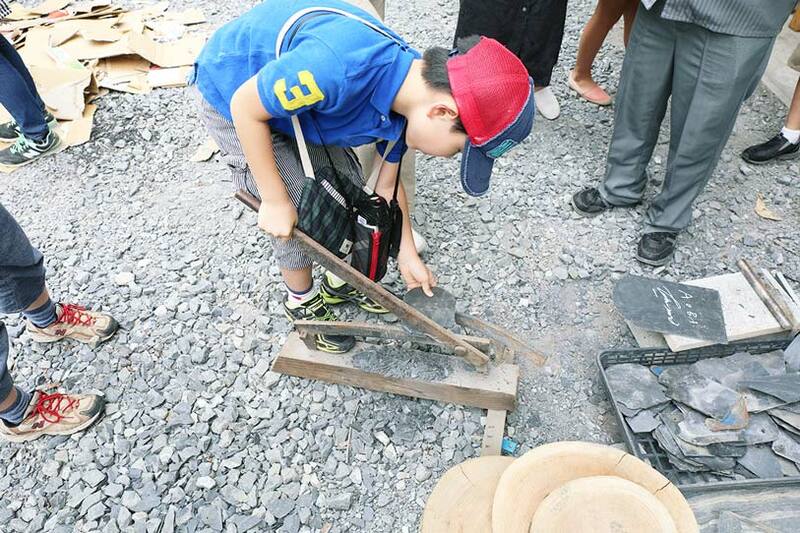 Participants continued challenging themselves with the production of slate even during the break time after lunch. For lunch, staff from “Namiita Labo” prepared a barbeque with a rich variety of local ingredients, such as scallop and sea squirt. Watching the kids, the adults spend their lunch together, one local person said, “This is it! This is what I wanted to see,” a comment which left lasting impression. The afternoon started with an excursion to the stone quarry. 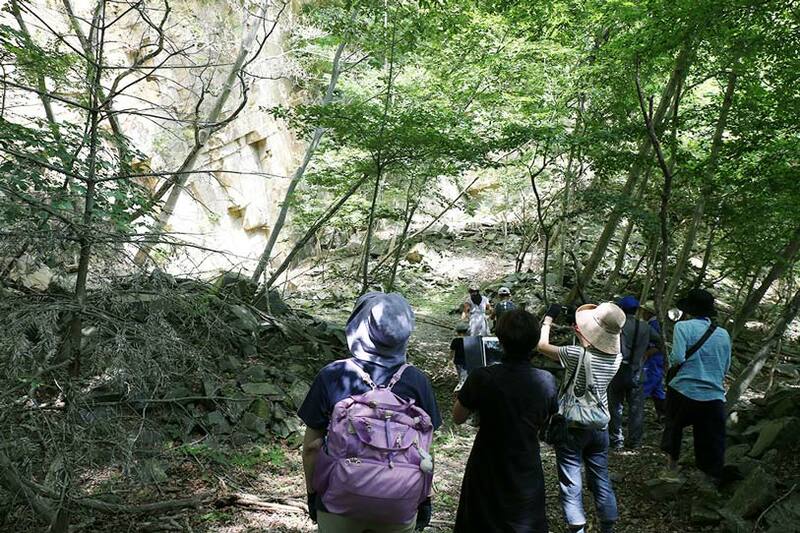 At present, no new stones are being excavated in Ogatsu, but with the bare mass of Ogatsu Stone exposed, blocks that were cut out some time ago still lie scattered around the premise. 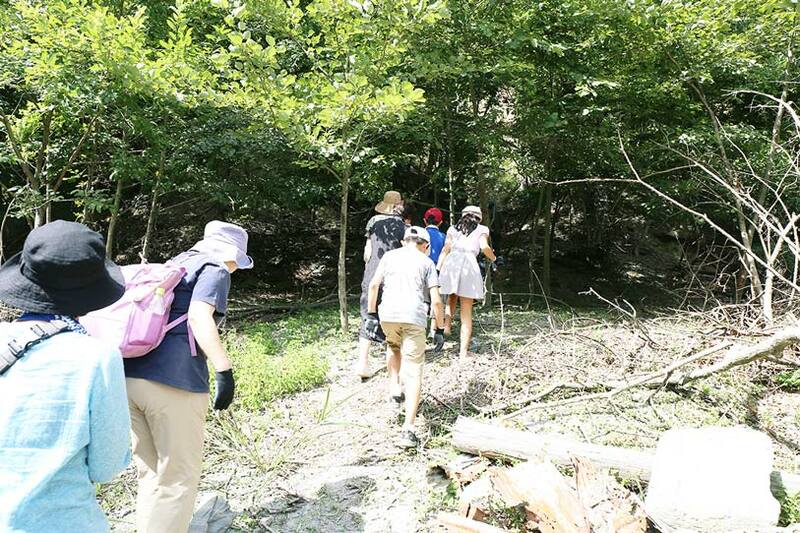 While the kids were overwhelmed by the grand stone quarry, they were absorbed in finding fossils that Mr. Yotsukura had told them about in the morning. The last activity for the day was making an accessory with Ogatsu Stone and stained glass, developed in an activity after the Great East Japan Earthquake through collaboration among “Glasspoint-Y,” a stained glass studio located in Ishinomaki, Namiita Labo and Ms. Toki’s group. 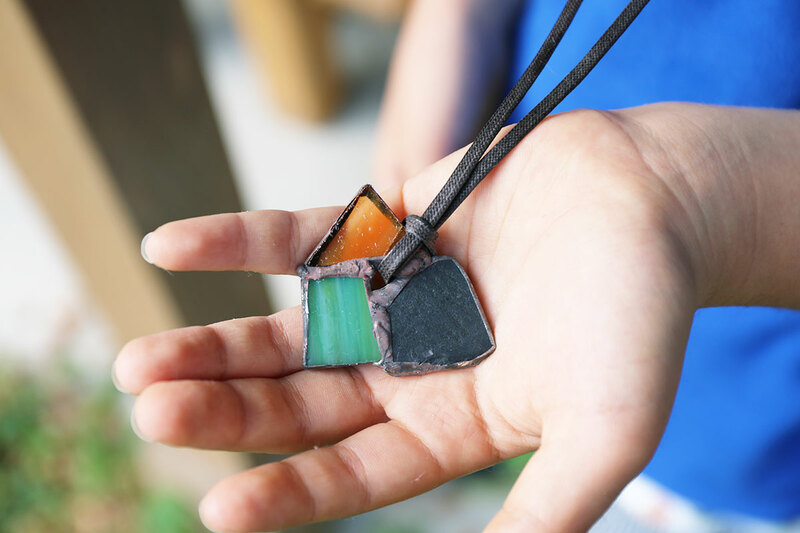 By combining the colorful stained glass with Ogatsu Stone, wrapping the edges with copper tape and soldering everything together, the participants created truly unique accessories. After learning the steps from Ms. Toki and her students, the children proceeded to create not one but multiple accessories.